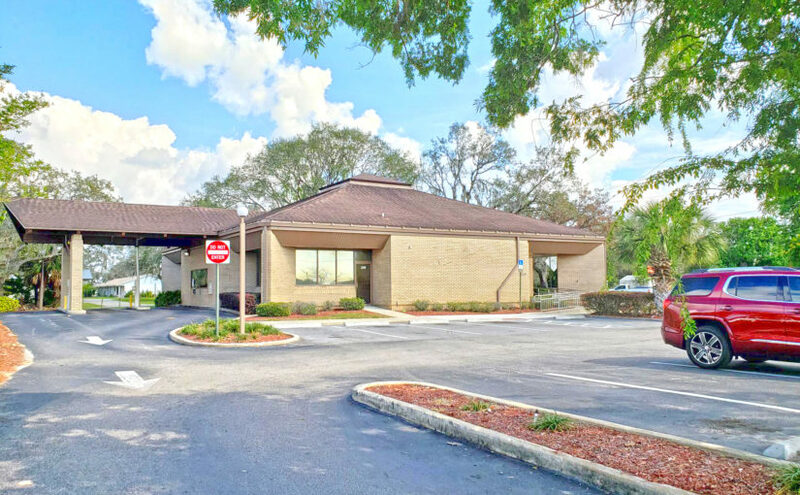 This former Wells Fargo is a 4,100 sf building on a 0.54-acre lot with three separate points of ingress/egress. 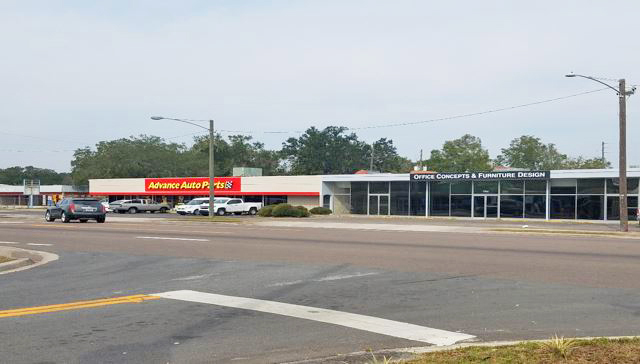 The building is situated with excellent visibility at the NEC of the intersection of US Highway 27 and Camphor Street, and offers a prominent pylon signage opportunity. Located within a busy commercial corridor, this is a great opportunity for QSR, automotive & medical users! intersection of CR 544 and US 27 and proximate to Ridge Technical College and its 560 students. Offers a prominent pylon signage opportunity and located within a busy commercial corridor. This property is offered for sale at $650,000. Unique 12,686-SF co-anchor opportunity in well positioned strip center with excellent visibility to drive-by traffic. Daytime population of over 98,000 with 7,790 businesses within a 5-mile radius. Proximate to the University of Florida and its student population of over 54,000 students. Retailers in the immediate vicinity include Advance Auto Parts, Firestone, Shoe Show, Publix, CVS, Goodyear, Sally Beauty, and Family Dollar. 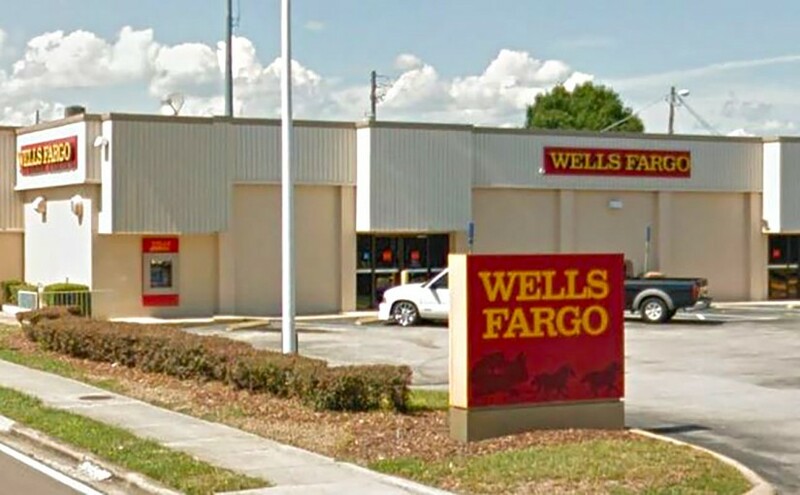 Former Wells Fargo New Port Richey – FOR SALE – Price Reduced! 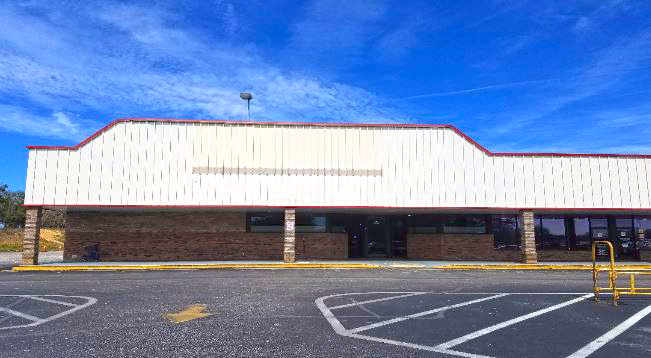 This former Wendy’s with drive-thru is a 2,573-sf building situated on a 0.69-acre site situated directly on busy N Cocoa Blvd with excellent visibility to 21,000 vehicles per day. The building offers a prominent pylon signage opportunity. 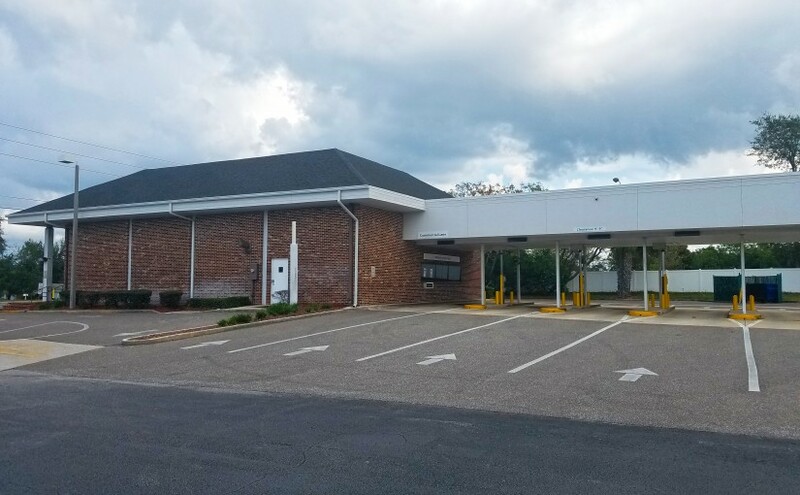 This former Wells Fargo branch is a 6,129-sf building with a 1,050-sf, four-lane drive through and mature landscaping. The building is situated at the SEC of the signalized intersection of S Lake Shore Way and Haines Blvd E with visibility to 23,000 vehicles per day, offers a prominent monument signage opportunity, and is located proximate to a busy commercial corridor. OFFERED FOR SALE AT $400,000. 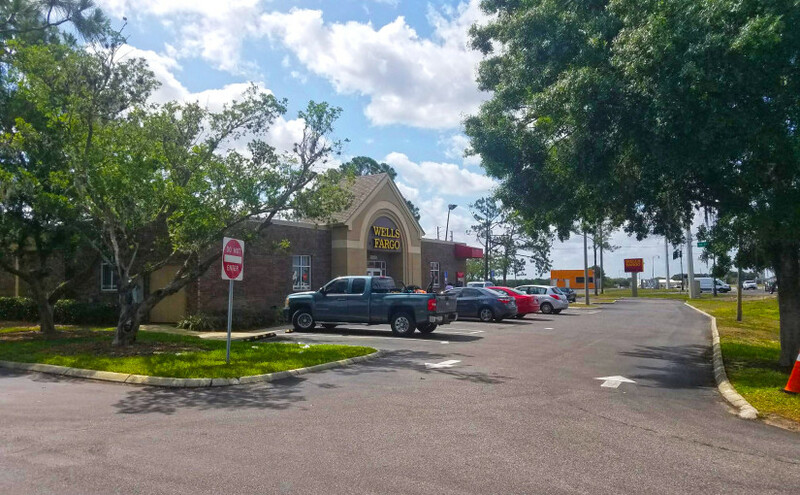 8,510-sf former Dollar General location situated at an end-cap in Interlachen Plaza, a well-positioned neighborhood shopping center. Retailers in the immediate vicinity include Advance Auto Parts, CVS, New Dollar General (Across the Street), Family Dollar, Hitchcock’s, Center State Bank and Ace Hardware. The general economy has bounced back since the Great Recession of the early 21st century which lasted for 19 months from December 2007 to June 2009. Of all of the states in the United States, Florida’s economy, since the Great Recession, has grown in leaps and bounds compared to most of the other states. The economy grew an estimated 3.5 percent in Florida which is ahead of the 2.5 percent national metropolitan average. Some of the fastest growing commercial growth in Florida is found in the lodging and food services businesses, construction, transportation and warehousing, and retail, to name a few. Some of the most up and coming commercial growth can be found in South Florida, the southernmost part of the state. Where are some of the areas in South Flordia that are ready for commercial growth? The city of Parkland, in the Broward County/Miami-Fort Lauderdale area, is one of the fastest growing cities in South Florida. With a population of approximately 23,962 in 2010, that population has increased 17.4 percent in the following five years with a current population of approximately 28,128. This residential area acknowledges the need for commercial development, and it is this development that is primed for growth tied to a conservative approach to maintaining a small-town feel. The right commercial developments tailored for the area are welcome by the city of Parkland. Coconut Creek, with a population of 56, 792 is a fastly rising city in Broward County/ Miami-Fort Lauderdale area. One of the main projects for the city is its Mainstreet Project, a major commercial endeavor that currently features the Promenade and the Seminole Casino Coconut Creek. Requests are in the works to build approximately 50,000 square feet of retail space for the project, in addition to other goals for the area. Homestead, a city in the Miami-Dade County area, has grown from a population of 60,509 in 2010 to an estimated 69,533 in 2015. The real estate market is ready for growth in Homestead. This is vastly different from a previous homestead that consisted of primarily military and agriculture businesses. The right residential real estate developers with the appropriate plans can make headway in Homestead. The more residential developments creates more commercial developments in the form of retail and more. South Miami is in the Miami-Dade County area. In 2,000, the population was 10,741 and has grown steadily ever since. Studies indicate that the commercial real estate sales are rising in both volume and numbers. This will also further lower unemployment rates as more jobs are created as a result of the growth. There should be an estimated 7.5 million jobs created in the area within the next three years. Commercial growth in South Florida overall is looking good for developers and investors for at least the next few years. The economy continues to improve, making the area a smart and prosperous place to build. With a stable economy and commercial growth, more jobs are created, and unemployment rates continue to lower. From a monetary perspective, investing in real estate is very similar to investing in the stock market. If you plan to profit in your real estate investments, you must have a good idea about the value of the property you purchase. Having this information allows you to make an educated guess about how much profit you can generate from the investment. In fact, you may plan to make profits through appreciation in property values, rental income or a combination of both. Real estate valuation is calculated through two methodologies such as absolute value and relative value. This article provides information on commercial real estate absolute value vs. relative value. 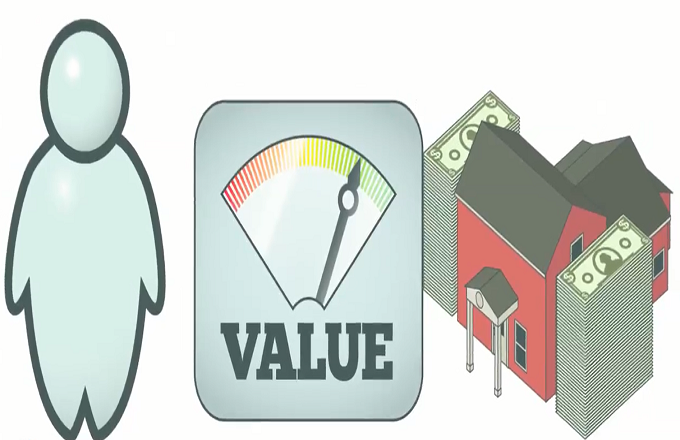 Absolute value is the value of the property itself based on its future cash flow potential. On the other hand, the relative value is the value of the property relative to other comparable properties. As you can imagine, there are several complicated mathematical equations to arrive at this value. The ability to calculate profitability is critical to any transaction, especially in commercial real estate. Get this value wrong and you are headed for disaster though you may think you’re entering a good deal. Even if you do not plan to buy or sell but just to reposition your property, proper valuation is still an essential component of developing an effective strategy to proceed with the deal. Getting this assessment right is important to save you from catastrophe. Realtors use a simple method to determine whether the absolute value or relative value should be applied to a particular property. In an area where all the homes are quite similar in most attributes and are easily comparable, the relative value applies to the property. On the other hand, if it is difficult to compare the property with other properties in the area and the property is more of a contrast to those around it, the absolute value applies to such property. Where there is a unique setting within a great style of architecture or there is some other outstanding feature that sets the property apart from the rest, the absolute value prevails. It is a property that the buyer must have regardless of the price. In fact, the price may not be a consideration at all. That is where the absolute value applies to property. The relative value of property is critical to a real estate buyer for comparison shopping. The relative value may often be lower compared to the absolute value of the property. Hence, the relative value is a good indicator of a great purchase. Although real estate valuation calculation seems fairly straightforward, determining the value of an income-generating property is quite complicated. But it is essential to make an informed investment decision when buying real estate. In conclsuion, you need to have a good idea about the value of property to make the correct investment decision. This is where the absolute value and relative value of property come in handy. The aforementioned article provides informaion on commercial real estate absolute value vs. relative value. Retaining existing tenants is absolutely an essential for creating and maintaining a healthy stream of revenue for a commercial property owner. This is not easy to achieve especially if you are managing a high volume of tenants. There are many factors that can affect the retention if commercial retail tenants. When commercial tenants are carefully selected and evaluated, they are more likely to remain for a long time. This is because many commercial retail tenants are looking for a more permanent solution for their business, unlike residential tenants. There are a number of things you can do to ensure you have a higher commercial tenant rate. Always ensure there is an open line of communication and be responsive. Commercial tenants usually don’t require a lot of attention, but when they do call for a maintenance request or other concerns, they usually expect a response in a timely manner. A faster response will be a good sign and will make the retail tenants feel more comfortable in your property. If there is a slow response, the tenant might consider looking for other options. Being attentive to the needs of the tenants will make them more satisfied and make the more likely to renew their lease. Streamline the process and provide incentive. 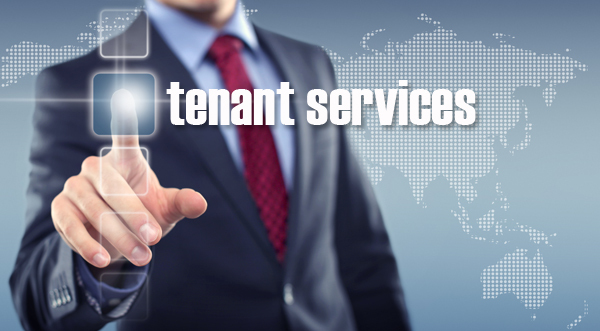 Try your best and streamline the processes for tenants where possible. Streamlining tenant process can go a long way in helping you create more tenant satisfaction and increase the likelihood of the commercial retail tenants. Some of the ways you can streamline the processes include offering the tenants the option to make rent payments through an online payment system or having an online portal that will make it easier for them to make maintenance requests. Another way you can retain tenants is by offering them incentives when they renew their leases. Some of the incentives you can offer include limited time offers, free services, discounts, etc. Have a system in place. 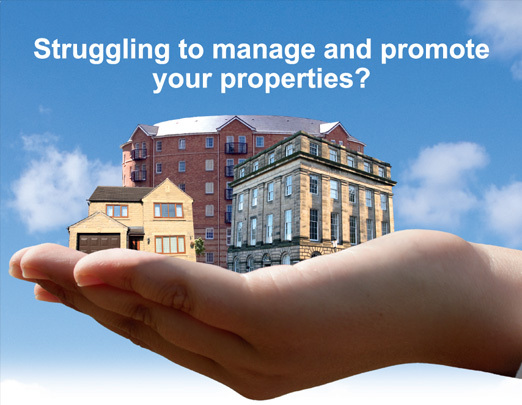 Managing a commercial property is like running a business. In order to have a successful retail property, there must be systems in place. Effective property management calls for smooth and functional, well-kept property and keeping the new and existing tenants satisfied. A property owner can easily deal with maintenance issues, repairs, and tenants if there is a good system in place. Monitor all the existing leases that are coming up for rent review or expiry within two years. When the dates start drawing closer, you can start negotiations based on the property decisions that have already been made and the tenant retention plan. Check in with your good tenants. This will help you ensure that they are happy in occupancy and that they have no pressure for contraction or expansion. If they are, then you need to be working on a way to deal with it before another property owner can offer them another retail tenancy space. Retaining your commercial retail clients will be easier with the above tips. It all comes down to the way you treat your tenants. Commercial real estate laws are not that easy to wrap your head around. With laws at the federal level, at the state level, and regulations at local levels, getting to understand the regulations that govern commercial real estate can be quite hectic. At the same time, real estate laws encompass everything from insurance law to contract law to property law. As such, there’s no single source where you can find everything that you need to understand real estate laws as a commercial properties investor. It is, therefore, advisable that you look for professional help when looking to buy or sell commercial properties if you do not want to find yourself on the wrong side of the law – especially if your investment is quite significant. And while it is important to do so, it is advisable that you consider knowing some of these laws to stay informed. 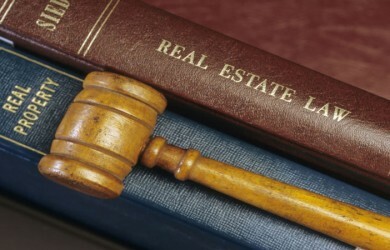 Below are five commercial real estate laws that you, as a real estate investor, need to know. Real estate laws are crafted using fine legal definitions of relationships that exist between the owner of a commercial property and the entity or individual habituating the space. It is, therefore, important to understand some of these laws to ensure that you do not violate any of the stipulated rights. Disclosure laws vary from state to state and deal with the location, restrictions and conditions placed on a property. These laws generally exist to ensure that renters understand what they are getting into. For example, property owners are required to disclose if there are any known and unknown toxic substances like lead paint, radioactive materials and asbestos. At the same time, they may be required to disclose other less-shocking information; but this will vary from state to state. As a commercial property owner/investor, it is important that you understand these laws – especially if you opt to use a realtor to handle all your rental transactions. State or local legislation will often dictate how land use and zoning regulations are enforced. Apart from determining taxation, these laws also determine how a property can be used. These laws can dictate if a property can be used for retailing operations, and in some cases, the sort of retail operations that can take place. Rental agreements and leases are legally binding contracts that are drafted by one party or another and accepted by both. 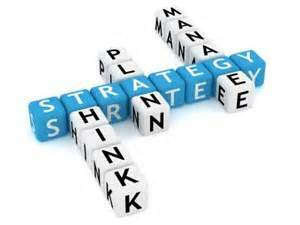 As such, contracts must be structured in a particular way and contain rigid verbiage that can stand up to challenges. While a majority of contracts in the US fall under the nation’s Uniform Commercial Code, contracts for the sale of real estate fall under the Common Law of Contracts. The Common Law of Contracts is quite different and requires an acceptance to be the exact representation of the terms stipulated before it can be viewed as a legally recognized acceptance. When changes are made to the initial offer, there is no acceptance since the offer has been altered – as a result, it becomes a rejection and opens up room for a counteroffer. As a commercial real estate investor, it is without a doubt that you want your investment protected/covered, and that is you should consider having insurance on your commercial property. Insurance covers your property in the event an accident occurs. However, most insurance policies only cover your property and not your tenant or a vast majority of their things. As such, they will need to get a policy of their own to ensure that their things on your property are covered and to make sure that they protect themselves against liability lawsuits. Insurance laws vary from state to state and do not possess many overarching federal directives. It is, therefore, essential that you learn more about commercial insurance law to know all there is to know when it comes to insuring your property. When it comes to commercial real estate law, it is important that you educate yourself on some of the stipulated laws, regulations and codes of contact to ensure that you stay well-informed. Here is a piece of advice, never try to navigate the tricky laws and regulations that govern the buying, selling and leasing of commercial properties on your own – there are just too many variables for a novice to track. Therefore, when it comes to real estate laws, consider hiring a professional to help and guide you through the process. If you are just getting started in the world of commercial real estate, the entire concept may seem very overwhelming to you. This is probably because many of the terms you hear may not be familiar to you. The best way to get ahead in this arena is to educate yourself, so make sure that you learn all of the following terms before you continue. Return On Investment (ROI) – This is probably one of the terms you will hear the most frequently. It refers to the amount of benefit you receive from a property you purchased weighed against the amount of money you had to spend. People use this to gauge how well they have invested. Capitalization (Cap) Rate – This refers to the amount of money your investment will yield each year. It is calculated by dividing your operating income by the amount you paid for the property. Concessions – When landlords are trying to attract tenants, they will offer concessions as a way to make the deal more attractive. Common concessions include free or discounted rent and lease buyouts. It is usually not necessary to offer these when the real estate market is doing particularly well. Tenant Improvement Allowance – Sometimes landlords are willing to allow the tenant a certain amount of changes before they move it. This usually correlates with the type of business that is being run. For example, if someone is opening a pizza place, the landlord may agree to pay for some of the decor and equipment needed. Build Out – This refers to any improvements of additional construction that are done after an initial space has been completed. It includes things like plumbing, flooring and electrical work. Capital Improvement – Any changes made to a property that extends its life. This refers to things like new elevators and roof replacements. Deed Restriction – Restrictions within a deed that limit the way that people are allowed to use the property. For instance, there may be a restriction on using the property for sporting establishments. Holdover Tenant – A tenant who remains on the property, even after the terms of the lease are over. Joint Tenancy – When a property is owned by more than one party. In the event one of them passes away, the other has the right of survivorship. Loss Factor – The amount of space on a property that is not usable space due to the presence of walls, elevators and other unmovable structures. This figure usually ranges from a very modest 5% to something on the higher end, like 15-20%. There are many more terms that are associated with the commercial real estate industry, but these are the ones that are considered the most important. Before you head out there and start dabbling in real estate, make sure that you try to learn all you can. Learning all of the important terms, like the ones listed here, is only a small part of it. 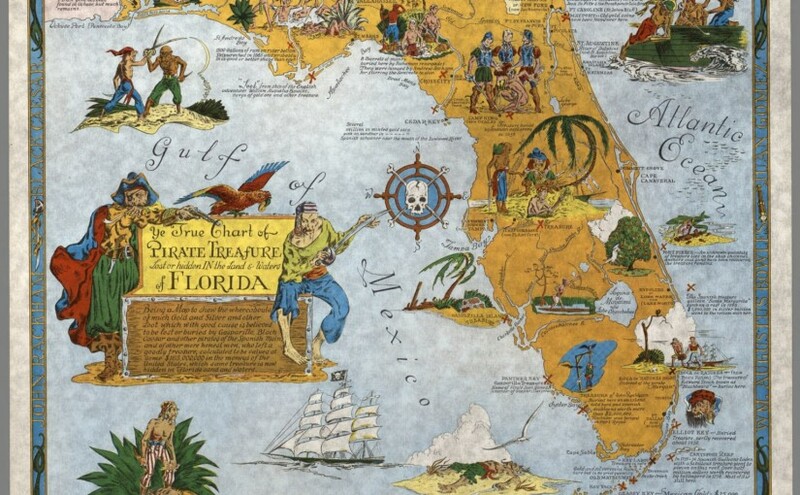 When thinking about Florida, most people imagine its spectacular beaches. Younger ones will definitely mention Disney World. The state, however, has a big number of historic landmarks. The historic points of interest and architectural attractions stand as evidence of the state’s intriguing past. Needless to say, a number of these landmarks have a much higher historic importance than others. Here are a few of those. The houses of many famous individuals have been preserved in the state of Florida. Some of these homes have also been turned into museums, dedicated to the life and work of their popular inhabitants. Ernest Hemingway’s home is located in Key West. Ernest Hemingway Home and Museum is a picturesque building that served as the writer’s house in the period from 1931 to 1939. Today, it’s the house of six and seven-toed cats – all of them descendants of Hemingway’s favorite feline. Civil rights leader Mary McLeod Bethune lived in Daytona Beach and the house is another famous Florida landmark. An activist, educator and president of National Association of Colored Women, McLeod Bethune dedicated her life to protecting the rights of African American women. Located two miles north of Florida’s St. Augustine, Fort Mose was built in 1738 by Florida’s Spanish governor. The fort was established as a free black settlement and it served as an asylum for slaves that managed to escape the British Colony. Archaeologists explored the remains of Fort Mose from 1986 to 1988. Their discoveries shed a lot of light on the role that slaves played in the rivalry between England and Spain during the period. Today, the fort is a part of Fort Mose Historic State Park where a museum is also located. Many of the artifacts discovered during the archaeological exploration are on display there. The oldest masonry fort in the states is located in Florida, more precisely, in the city of St. Augustine. It’s also one of the best preserved forts in the country. Castillo de San Marcos was built in the 1600s. It impresses with the interesting design – a diamond-shaped construction that made the fort easier to defend from enemy attacks. The 14-feet-wide fortress walls are preserved till present day. Once the fortress is explored, it’s also a good idea to spend some time in St. Augustine. The city has preserved its charm through the years and it’s proud to be called the oldest European settlement in the United States. Ybor City is a historical district in Tampa. Originally (in the 1880s), Ybor City was an important cigar production center. It was the home of thousands of immigrants from Spain, Cuba and Italy. There were numerous cigar factories that gave the immigrants employment. Today, Ybor City welcomes visitors with its numerous museums. The most prominent ones include Cigar Museum and Visitor Center, TECO Line Streetcar Museum and Ybor City Museum State Park. The district also holds intriguing annual events like the Fiesta celebration of Latin culture, Festa Italiana (dedicated to Italian cuisine), Tama Cigar Heritage Festival and Tampa Noles Pub Crawl. These are just some of Florida’s architectural and historic landmarks. The state has a lot more to offer. Historic landmark hotels, cathedrals, plazas, museums and towers are all ready to welcome visitors. While it is advisable to have commercial real estate contracts written by lawyers; all investors and industry professionals should be well versed in ways sales agreements go or ways to protect their investments and interests. Well, there are many types of real estate investments of which all of them come with their benefits and limitations. 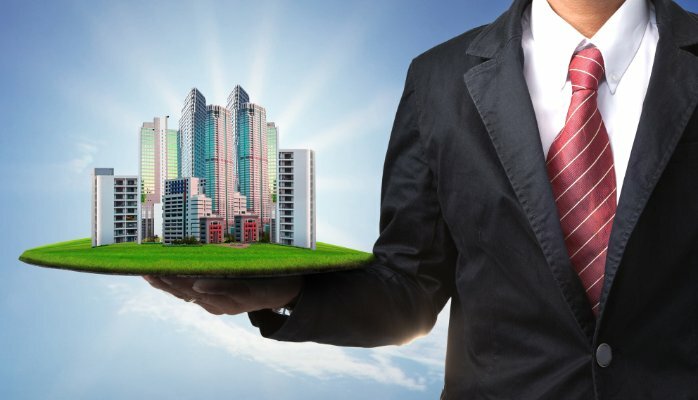 The truth of the matter is that commercial real estate is arguably the most difficult type of investment, and it involves far more factors than the private real estate. If you are looking to invest in a commercial real estate, then there few mistakes you need to avoid. One of the biggest mistakes people do when it comes to investing in commercial real estate is failing to analyze the market. NOTE: when investing in commercial real estate, the market is far more important than the property. Well, this might seem a bit backwards, but it is actually the truth. If you have bought a private home in the past, then you have probably experienced the importance of market analysis. To avoid making a wrong investment, you are advised to analyze the market first before buying a property. Ensure that you exercise a tradition for looking at the market before you invest in commercial property. The sellers, buyers and their representatives should avoid using a ‘One-Size-Fits-All’ approach to the contracts and set out to create agreements that reflect the risks they are willing to assume in each transaction. A lack of liquidity is a far-reaching risk to any commercial real estate investor. Well, there are many ways one can invest in a commercial building than buying the building and later leasing it out. When it comes to commercial building, one has to be realistic; if a person overleverages themselves, in the long-run, they may end up losing as well as affecting their financial status. Be realistic and never put all your eggs in one basket. A successful investor will take a look at taxes. As such, they find ways to reduce taxes, which will give them the power to invest for a maximum reward. To avoid paying much money to taxes; ensure that you have taken a look at it, which will affect your annual returns. 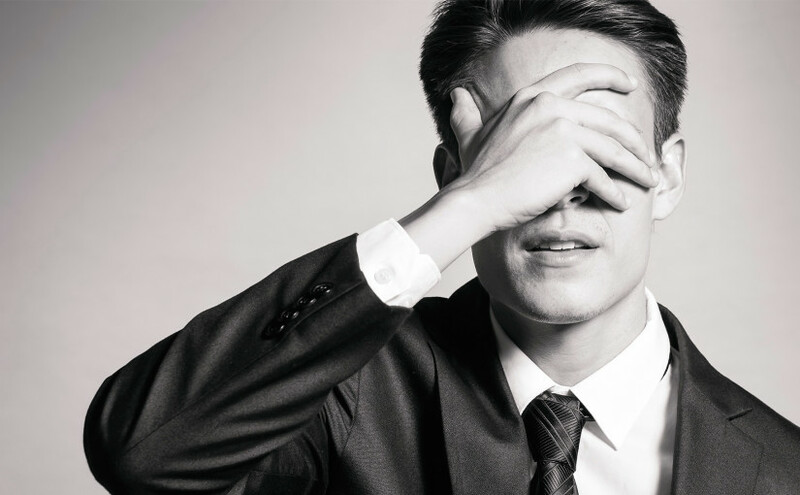 Another big mistake people tend to do when it comes to commercial real estate investing is; making wrong money calculations. It is important to determine if you are making the right investment move or not. Not only do you have to look at the deposit required, taxes, closing cost, appraisals and title work, but also the cost of repairs, upgrades and replacements. Therefore, it is advisable to calculate the total cost and the amount you expect to receive. When you want to get into the investment field, real estate is always a good bet. Sure, there are ups and downs, sometimes at historic levels, but at the end of the day, people will always need places to live. The key is to find the right property and make the right investment. As opposed to buying properties to flip, you can build equity in homes and instead rent them out. However, the most important part of this deal, which can make or break your investment experience, is finding the right property manager. This is the difference between sticking with your investment and potentially throwing your heads up in frustration and cutting your losses. With this in mind, follow the tips below in order to find the right property manager for your endeavors. If you want to know what your property manger an do, it is important to see what they have done. Ask them for examples of properties they have managed and get references and testimonials from those who have used them. This will give you the opportunity to walk your way through the process with the right information. If you really want a rental property manager that is invested and passionate, ask about any properties they own. This tells you a lot about whether they are just in it for a quick buck or if they really practice what they preach. If they have their own rental properties, it shows you that they are serious about what they do and let their own money do the talking as well. Finally, you need to get an exact figure of how many other properties your manager deals with. This will not only let you get an idea of how much they are used to juggling, but how much they are able to handle. It also gives you an idea of what sort of network or help they will be able to receive in giving you assistance from other professionals, such as handy contractors and HVAC professionals. When property managers have a lot of clients, it also denotes trustworthiness, which is huge in this business. Between these three tips, you will have a good start with finding the right property manager for your investments. This gives you the peace of mind of being able to simply collect rent and watch the money rake in. Of course, the property manager will take a fair cut, but you will be well taken care of and will have plenty of peace of mind. Your tenants will be happy and the property managers will completely take away the burden of having to appear in court, file paperwork and handle all sorts of logistical issues. 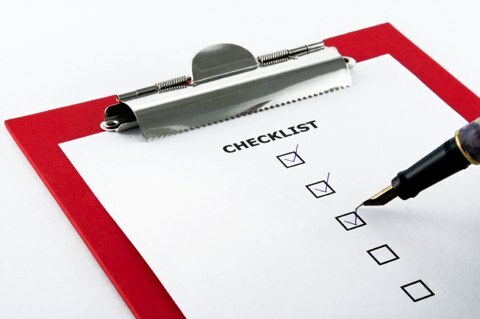 Before hiring a property manager, consider these tips and use them to your advantage. With over $252 billion being invested into commercial properties in America, the growth in this sector seems endless. There is a lot of potential on offer for eager investors hoping to locate a comprehensive method to earn money and solidify their portfolio. Yet, there is one thing that can hinder progress. This would involve taxes and how they can eat into your profit in a hurry. This does not have to be the case as long as the right strategies are being employed when it comes to tax. Using these strategies will make your life as an investor that much easier. This is a fantastic strategy to consider when it comes to real estate. Using a trust to ensure the income coming in is taxed less heavily can be an exceptionally fruitful measure to take. It is still dependent upon what type of trust is being invested into, though. Yet the returns are going to be greater at the end of the day when using an REIT compared to when personal purchases are being made. It reduces the risk and enables the investor to divide their funds equally in other sectors as desired. It is important to note this down along with the tax benefits being provided. This is a neat way of reducing your taxed income in the long-run. The purpose of donating money to a charity is two-fold. One, it helps the charity and a good cause which, is never a bad thing, plus it enables you to save money at the end of the year. Make charitable contributions as an investor to help save money in the short and long-term. It is a truly magnificent and easy way to save money while being able to recoup it without having to deal with exorbent taxes. It is a no-brainer for those who are investing heavily into the commercial sector. Want to save on taxes? why not begin with states that don’t have property tax? This is a wonderful step to take and will yield results as long as you have funds to put into the investment. There are seven states at the moment which provide this type of value. These states would include South Dakota, Washington, Texas, Florida, Nevada, Alaska, and Wyoming. Look to find investment options in these regions and watch as the earnings rise in the long-term. It is definitely one of the best strategies to consider in this regard. These are all key tax strategies to ponder over for commercial investors in this day and age. It is certainly impossible to get out from under all taxes, but being able to optimize your processes is never a bad thing, and should be done by one and all. It will help save a lot of money and is going to ensure your investments are reaping rewards in the long-term. It is important not to ignore this for those who want appropriate results. South Florida’s home market has been surprisingly resilient in coming out of the downturn. However, despite the high number of foreclosure, there is an increase in the number of buyers. The good news is that the market has rebounded nicely. From 2011 to 2013, building prices moved up rapidly; but from 2014 until recent, the prices are rising at a moderate pace. The action is not all in for purchase housing; there are reports that rent rates are getting steamer too. In Miami for example, according to a study by The Integra Realty Resources; the lease rates increased by 6% in the first 9 months of 2014; with an average of $2.50 per square foot or $2,054 per months, this were leasing average for a one-bedroom houses. Additionally, a conventional one bedroom apartment were leasing at an average of $1.86 per square foot or $1,605 per month according to the same research. Well, the truth of the matter is that such rental hikes might not be sustainable though contractors are busy building apartments throughout South Florida. According to Miami Downtown Development Authority report, it showed that about 2,300 new apartment units are set to be completed in the next two years. The number of these new apartments will double the inventory of professionally managed buildings. 2015 proved to be the pivotal year for South Florida during the existing preconstruction housing boom. The moment South Florida entered its 5th year of the real estate cycle; the year brought about some trends, which influenced the longevity of the current buildings around the area. The more foreign currencies continue to weaken against the dollar; it slows down the global economy. As such, the South Florida’s Preconstruction advised building developers to take financial safety measurements so that they could reduce risks as well as improve the chances of failing and guaranty success. Competition for buyers in South Florida market was at least 415 per new building with more than 49,000 available units. These findings reportedly encouraged some of the most prominent developers the upper hand to come up with attractive building designs. One of the leading notable strategies for commercial real estate that were implemented in the year 2015 included a hefty 50% pre-sale consumer security in some of the most active building markets. The broker’s commissions were reported to reach up to 10%. In addition, the spigot of building construction financing from traditional banks and private lenders appeared to be flowing and open in South Florida based on the type of loans that were reported in the last year. The truth of the matter is that South Florida is the most popular MSA in the state, with approximately 6 million residents. This is somehow surprising, with the number of reported percentage of foreclosures. However, due to all the trends experienced in 2015, it has been reported that there will be an increase in building costs as well as a rise in renting rates. In addition, the population is expected to rise from the recorded number recorded back in 2015. Does Your Credit Score Really Matter When You Are Buying Commercial Real Estate? Buying commercial real estate can be a significant undertaking. Real estate can be quite expensive, and you will most likely need to apply for a loan to be able to cover the cost of the property. What catches out a lot of people is the application process. Applying for a commercial real estate loan is a little different than applying for a private loan for a home or even a buy-to-let property. Most banks will offer commercial real estate loans, and there are a number of private lenders that will do so too. The first thing you need to consider is the amount of money you want to borrow. For small amounts, look to your current bank or a suitable private lender. For large investments, you will need a bigger bank to stump up the funds. When a lender assesses your application for a loan, they will want to know that you have a sound business plan and that you understand the type of property that you are buying. If it is a commercial entity – such as a limited company – that is taking out the loan, they will look at the credit history of the company. 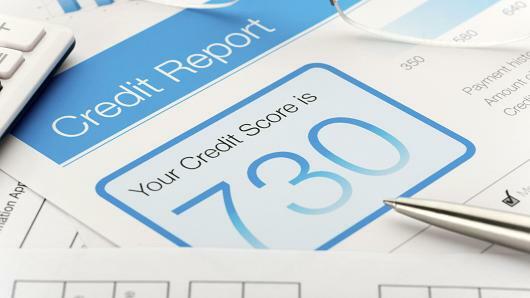 If you are taking the loan out yourself (which is a massive risk, and something that you should not do without seeking expert financial advice), then your credit rating will be looked at – however, your credit score is only a tiny, tiny part of what they will base their assessment on. Unless you are an undischarged bankrupt (and therefore not allowed to borrow large sums of money) your credit score is not going to be ‘the one thing’ that will get the property loan application turned down. More likely, they will be concerned about things like the business plan, insurance, and your experience with operating the property. If you are buying a large block of flats to let out, do you have tenants? If you are buying land to turn into a car park, have you ever managed such a project before? If you are buying a hotel, what state is it in, and what is your plan to bring in guests? They will want to see a cash flow forecast, a business plan, and your credentials, and they will sanity check those. Buying property to run a five star hotel in a deprived area does not make sense. Building a car park next to an existing, struggling one would not be sound either. You need to be able to show that you have thought all this through. Your personal net worth, and your overall credit score, will help you to net a smaller property deal – if your score is below 660 you might struggle to get credit with a smaller lender. If you have foreclosures or bankruptcies within the last few years, you should wait a while to apply. For bigger deals, it is best to seek advice before putting in an application, because there are many other factors that you should consider. Investing into real estate is profitable, but only when it is done right. There are far too many examples of investors who lost everything because they didn’t do their due diligence. With new house sales being at 18.1% and general house sales soaring around 50%, there is a lot of movement in the market. However, this is only important for those who are willing to put in the hard work to investigate the area they are investing in first. There is no value in investing blindly as that is a risk not worth taking in this day and age. Let’s see what tips one should be focusing in on as an investor when aiming to find a great property. Studies show, crimes have a dramatic impact on the value of a property and should never be undermined when determining a property’s potential. Remember, the property is only going to have value if people want to live there in the first place. If no one wants to live there, the property’s value will drop in a hurry. Detroit is an excellent example of this when the recession hit. No one wanted to reside in the area because they wouldn’t be able to find a job. The prices as a result plummeted and many houses were foreclosed. Crime rates are a must when researching the viability of a property and the area one is investing in. What about the amenities available in the area? This would include shopping plazas, hospitals, libraries, schools, and restaurants. You want to make sure all of these are close by or the value of one’s property is going to shoot downwards. Always make sure this is being taken into account. In fact, some real estate agencies are now giving out ‘walk scores’ to label which areas are better than others. The higher one’s walk score, the better it is in terms of its location and closeness to these amenities. An investment is going to rely on the funds being paid to acquire the property. Therefore, pricing trends are going to have a substantial role to play in the long-term. Without knowing which direction the pricing is going in the area, you will not get a good deal. These are the tips experts use on a regular basis when investing on their own. In fact, there are many real estate magnates who have put in a lot of effort to maximize these tips and earn a significant amount of money. You can do the same as long as you are willing to research the area being invested in as soon as possible.Know everything about the property management services and key factors of Acquisitions . Leaving this to the end is a risk not worth taking and will cause more damage than good. Don’t go down such a route unless you have money to waste. It is not worth it one bit.